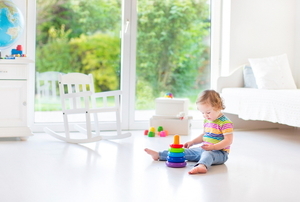 Follow these 7 tips -- including keeping furniture neutral and showing personality with accessories -- for designing and creating a bedroom that grows with your child through the years. 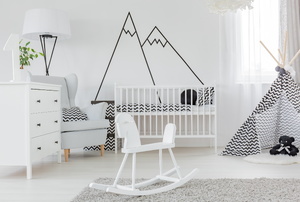 Nursery decor doesn't have to cut into the college fund. From messages to wallpaper, decals and stickers can personalize a space. Wall murals are an amazing way to transform a space into much more than it could be with only flat paint. What Color(s) Should I Paint a Winnie the Pooh Room? Ask a child his favorite color and he'll say blue. A second later he'll say no, it's red. Yellow. Purple.